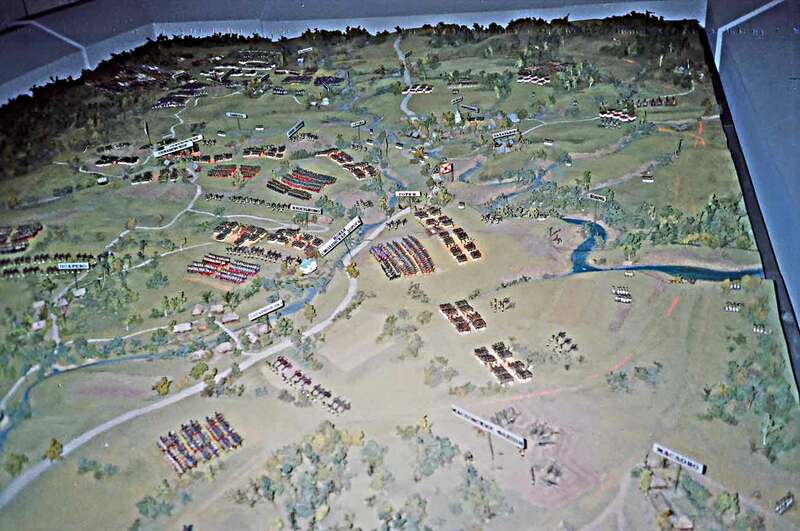 In this view of the diorama we are behind the Russian right flank. Gorki is slightly right of center on the New Smolensk Road. The church of Borodino is right across the stream. The French (allied) forces are at the top of the photo with Eugene's Italians on the right and the mass of cavalry reserve at the far top of the table. The French flag at Napoleon's headquarters can't be seen in this view.